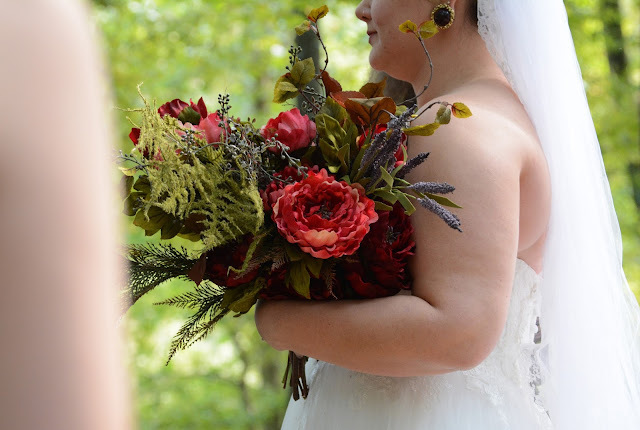 I knew I wanted an enormous bouquet, with a mixture of flowers, leafy vines, mossy branches, etc. I also included one large succulent. The large pink flowers came in a cluster, as did the large red. I separated them all to create my full bouquet, with additional single pieces of vines and and branches. I used burgundy embroidery thread to tie all the stems together. For the bridesmaids bouquets, I knew I wanted to keep it simple. 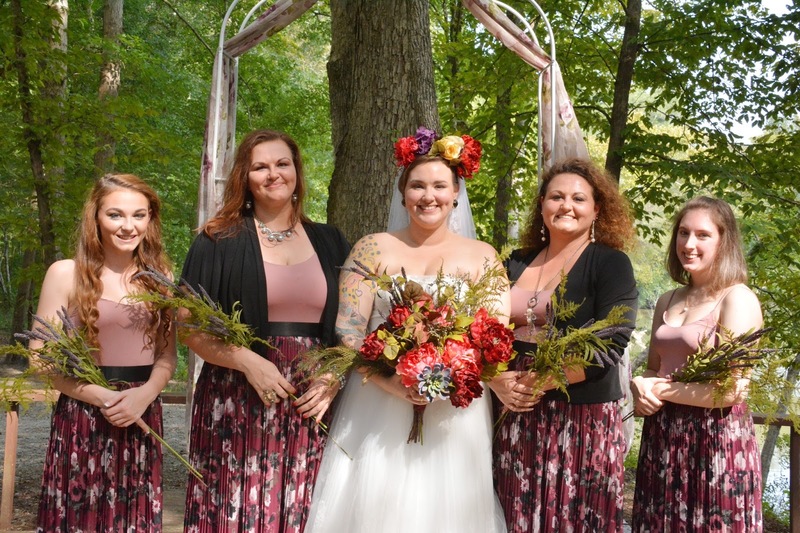 The dresses were printed with floral print, so I didn't want large bouquets for them (and of course, I didn't want to take away from my own). 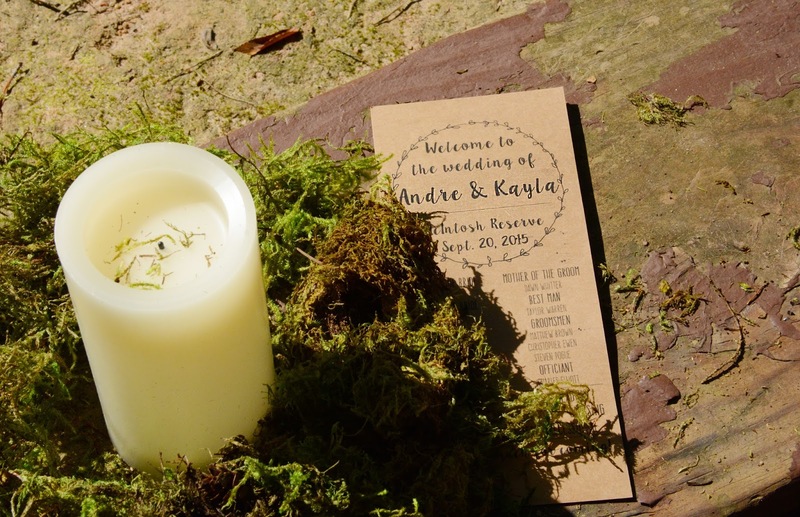 For their florals, I chose lavender stems with mossy branches for thin, simple bouquets. For ceremony decorations, we stuck with moss to keep with the whimsical woodsy theme. 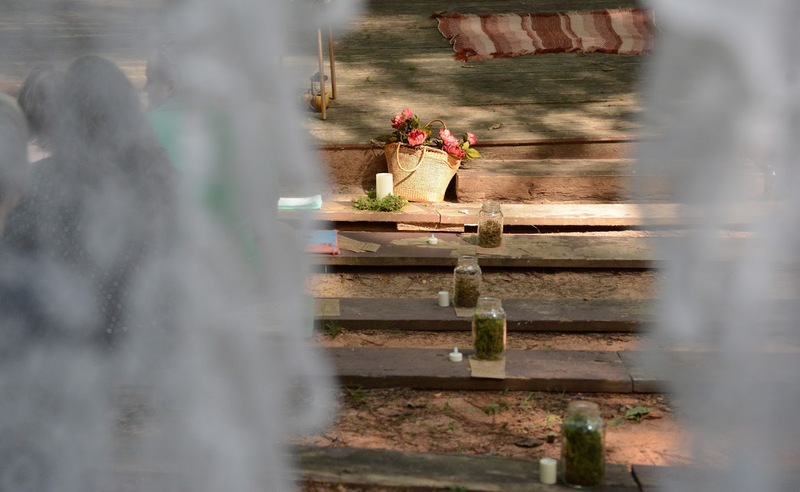 We (or rather my mom and the 'maids, who decorated the ceremony area for me) stuffed mason jars with moss, as well as bordered some candles with the moss, as well. For the boutinerres for the men, I used spare pieces off the moss branches, as well as spare leaves from the vines, tied together with embroidery thread. For the moms, I did the same thing but added an additional pieces of lavender for some extra color. My mom made the flower crown, with additional flowers purchased from the Hob Lob sewed onto the crown of my veil (formerly her veil when she married my dad!). 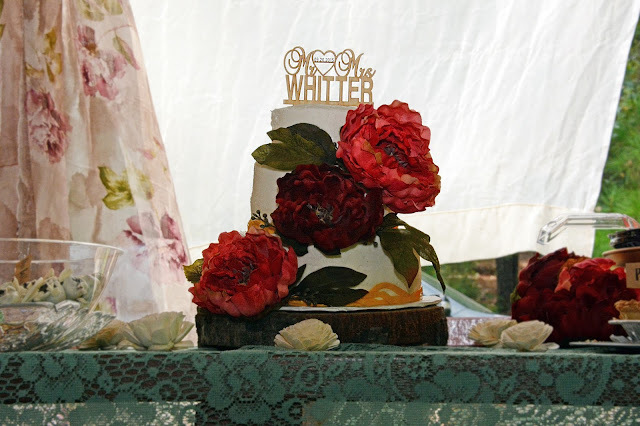 Lastly, the flowers on the cake were additional buds from the same clusters I used to create my bouquet. 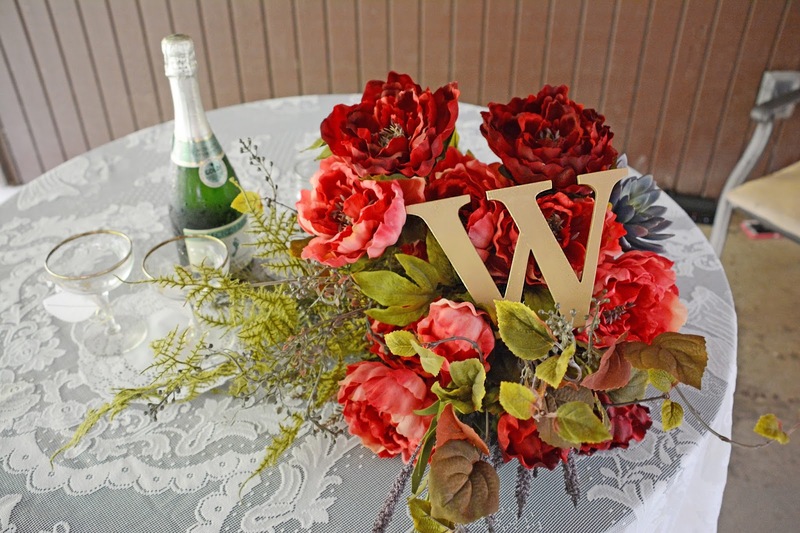 Please browse the photos of our wedding florals below. 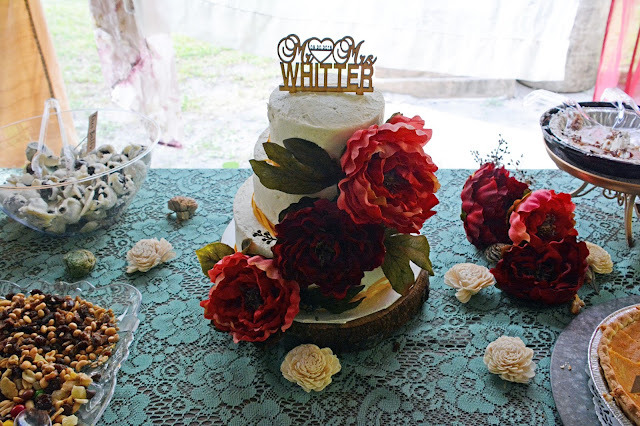 What did you do for your wedding florals? Was it a major expense for you, or did you cut you budget for florals? Those flowers are STUNNING!! You did an amazing job, and what a great price! 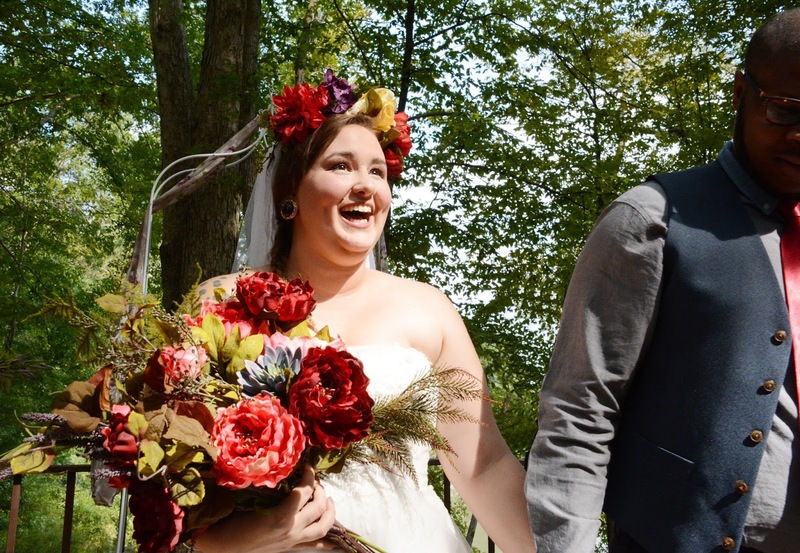 Before I started planning weddings, I worked for a wedding florist for 5 years, and it made me so upset when people threw away thousands of dollars worth of flowers at the end of the night. I started taking them home and giving them out to my neighbors! And that's outrageous! 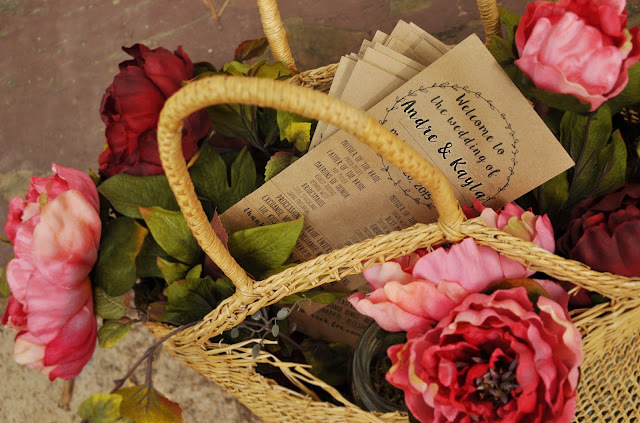 Not only are wedding flowers (or any flowers) beautiful, but the flowers that are put together for weddings are so well taken care of and they last for so long. I just can't imagine people throwing all those gorgeous flowers away. I'm the type of person that leaves flowers out until they are just so dead that the petals are falling off, because I can't stand to throw them out! It's so kind that you would give them out to others! So so soooo pretty, l love all the rich colors. I love fresh flowers, but I used faux ones also. I love having the memories and parts of the wedding months later...and something we can keep for years. Beautiful pictures! Yes. I totally agree. It makes so much more sense to me to be able to keep them forever. 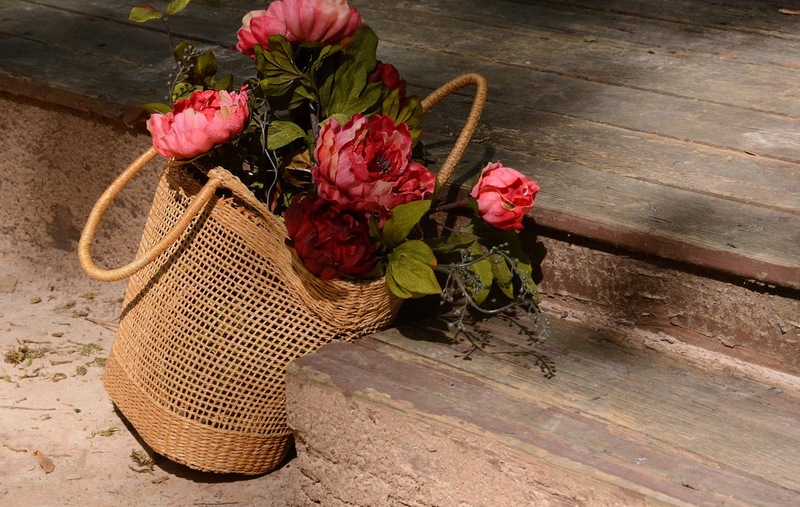 Your wedding and the flowers look beautiful! Flowers were one thing that I knew I didn't care much about (at one point I didn't even want to have a bouquet). 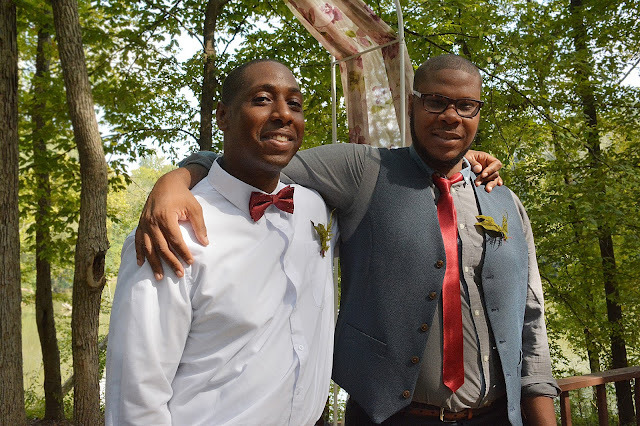 But I ended up getting one with real flowers and a boutonniere for my husband. It ended up being $90, which was perfect. Thank you! And that is such a great deal! We moved most of the stuff from the ceremony to the reception area because I just couldn't believe how expensive flowers could be!